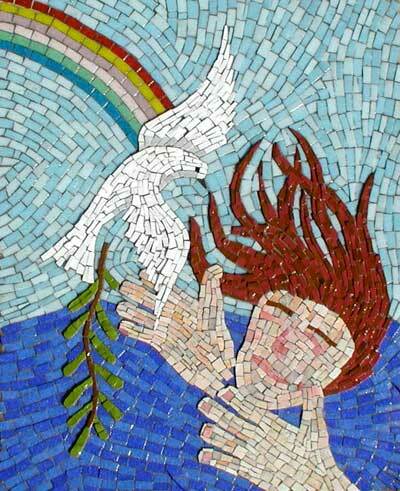 “The Dove Returns” contemporary mosaic. smalti, vitreous glass tile, grout on panel. 18 in x 22 in.